Gianluca Galletto​, 49, was born in Taranto, Italy. He’s been a New Yorker since 1997. He lives in Dumbo, Brooklyn, and holds both Italian and US citizenship. His current position is Principal & MD at Global Futures Group (GFG), a consultancy that helps to create opportunities for companies, cities and countries; devises and delivers innovative solutions to improve economic development, livability, and inclusion. GFG is a co-founder of Smart Cities New York, the leading conference and expo in North America on Smart and Sustainable Cities. Gianluca Galetto has started his career on Wall Street and worked as Director of International Business at the New York City Economic Development Corporation (NYCEDC) since July 2014. Most recently, he has worked as an advisor to the New York City’s Mayor’s Office on foreign direct investments (FDI) in tech and inclusive innovation, Croatia’s Minister of Regional Development and EU Funds, the World Bank, the Partnership for New York City, and the Metropolitan City of Barcelona. He is also an angel investor and a mentor for startups and immigrant founders. 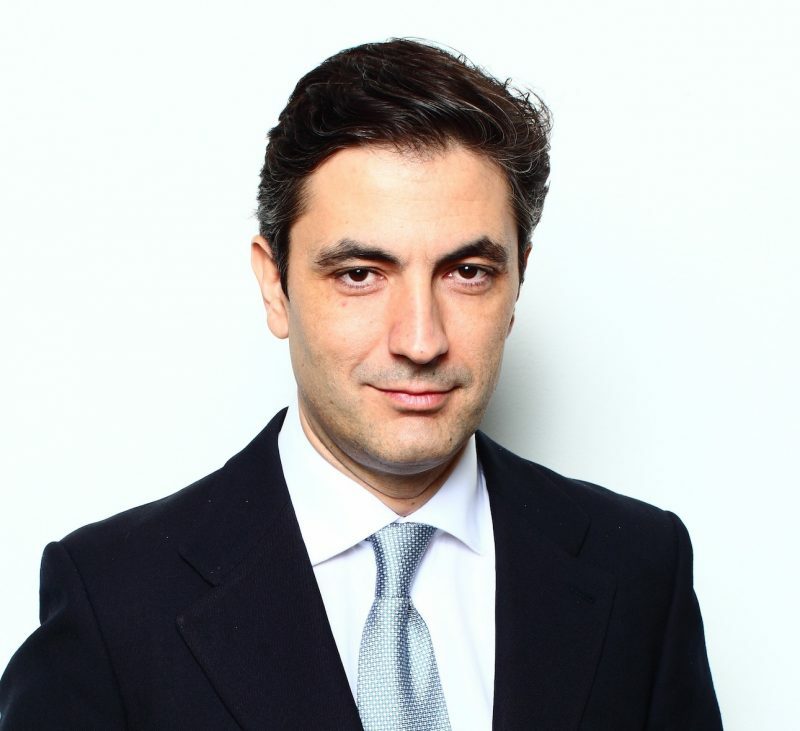 Gianluca will moderate our upcoming Made in Italy 2.0.2.0 New York Edition event. Meanwhile we asked him to review the Italian startup ecosystem in the US, particularly in NYC. ​Hello Gianluca, first, we’d like to ask you why, in spite of the large number of startups that were established in Europe, only a handful of them have been successful in the US. What are the characteristics that an Italian startup should have to succeed in the American market? Every year the number of European startups increases in the US. The ecosystem here is large and attractive for European companies that need to scale. Scaling is actually one of the biggest barriers for European startups. New York has been growing fast as a place that welcomes European tech companies, and in some cases, even faster than the Silicon Valley. One of the reasons why only a handful of Italian startups have been successful in the US is that the ecosystem in Italy is growing and it produces projects of a very good quality each year, but in terms of the size it is still small. Secondly, startups need to have a reliable proof of concept in their own country, some kind of revenue and to proof financial stability in the future. Only then they can convince strategic partners or venture capitalists that the market or their product is going to work. The other thing is that startups have to invest in a good strategy for marketing and sales, mostly by hiring local people and investing a lot in communication. collaborating and have been quite successful here in New York. The French startups have a lot of public-private support, which is not just the financials, but also mentoring, connecting and promotion. Italy has been growing in that direction over the past few years but it is still far behind, especially compared to its peer economies. Can you give us examples of two or three Italian projects that you have accompanied in the US or have seen coming and taking root in America? One of them was actually local, ​Opportunity Network​. It was created in the US, founded by an Italian entrepreneur, ​Bryan Pallas​, and has been very successful at the beginning, but unfortunately had to be moved to Barcelona because of immigration restrictions (it has become much harder to get visas now and I find it a harmful thing for the US). Another one is ​Cuebiq​, a spinoff of Beintoo launched in 2016 in the US that works in the business intelligence sector. I haven’t worked with them, but they just raised money recently in the US and they keep growing. And their US growth translates directly into growth in their home city in Italy with more added value and more jobs created. A very promising one is precision medicine, cancer treatment, company Darwinhealth​, co-founded by my old friend who runs the Division of Biomedical Informatics at Columbia University, Andrea Califano. The company developed and utilizes proprietary algorithms and methodologies to match every individual cancer patient with the optimal drug combinations. And the third one is ​Eattiamo​. ​It’s a very interesting start-up, sort of ecommerce for food: they source the best products from Italy, package them in a certain way and deliver them to people in the US. I know they have been quite successful, but to be honest I don’t have any information about the numbers. According to some CEOs of famous Italian startups who have managed to establish their projects in the US, it’s better to try and fit in the city like New York City than San Francisco. Do you agree? What does New York City offer differently? I completely agree. I am a big champion of New York City, it’s better to be in New York City than in the Valley, for a few reasons. New York has the second largest ecosystem in the world, albeit still smaller than SV. However, access to capital is now not that much different and the gap is closing. The growth has been staggering: in 2018 $14B in venture capital deals were executed in NYC, which is now roughly 40% of the combined San Francisco/North Bay Area and Silicon Valley/South Bay Area, and up from $3B six years ago when it accounted for 15% of the combined SF/SV areas. roughly 40% of Italy’s GDP. The NY Metro Area GDP is about $1.6T. Many industries are represented in the city and many products and services can be sold here. Within 100 km there is an economy of almost the size of Italy and there are 85 Fortune 500 companies headquartered here in different areas – finance, media, advertising, fashion, retail, construction, clean-tech, insurance, healthcare, pharmaceutical, biotech, life sciences, food tech, digital manufacturing, urban tech. The talent pool is very large, high quality and diversified and that is really the main reason why Amazon had chosen New York City as the home of its second headquarters (and later decided to withdraw struggling with opposition from local politicians). It’s very close to Italy/Europe and the time zone difference is 6h instead of 9, which makes a big difference for a dual transatlantic business. So, we can affirm that New York has nothing to be envious about Silicon Valley, right? Yes, sure, I just explained why. Another big difference is that New York City is a city, an urban area, and in a world where almost 80% of the activities take place in urban areas being part of it is a plus. Silicon Valley is a widespread suburban area, and San Francisco is smaller than any of the 5 boroughs of NYC. Can you summarize which specific sectors are emerging in New York (Fintech, FashionTech, HealthTech etc.)? New York City is the capital of advertising, mediatech, fintech because it’s the world capital of finance, media and advertising. It is also one of the capitals of fashion and even foodtech. Now those sectors follow the growth of the ecosystem, they declined, relatively speaking, compared to life sciences, artificial intelligence, cybersecurity, urban tech. UrbanTech includes mobility, resiliency, sustainability. The next real big frontier for New York City is the opportunity in construction tech and proptech, so basically creating buildings in the circular economy that are smart and sustainable and do not have an impact on the environment. For example, a Dutch company operating here provides solutions to design buildings that can be later disassembled and most of the materials can be used again in another construction. So that’s probably the next frontier and in this sector New York City is lagging behind Europe, especially Northern European Countries. The digital manufacturing works well in NYC, particularly nanotechnologies and artificial intelligence applied to manufacturing. The creative industries, anything that’s related to music, video, audio. For example, a big VR/AR lab was recently opened in partnership with the municipality. Finally, life sciences are going to have a huge boom. New York City is the third most important hub in the US after California and Massachusetts. The portion of venture capital allocated to life sciences is doubling every year and it has an extremely strong network of Universities and a lot of partnerships the city has put together to provide space for companies. There are a lot of initiatives that are really devoted to that. So, life sciences, therapeutic and non-therapeutic, are extremely important. Do you believe that events like our Made in Italy 2.0.2.0 can facilitate access to American VCs for Italy? Your event is very good. That’s a great way to make Italian companies well known. I think that the selection process is pretty good. Last year you brought high quality companies which is very important, because the number of events like yours are just staggering. This year I think the companies you are bringing exceed last year’s cohort in quality. The risk is that you are just a drop in the ocean, so the way to overcome other similar events is to bring good quality projects and invest a lot in planning. You have to plan one year in advance and put together a coalition of people that can attract the right audience. And then, you have to try and get exposure to local media. You have to be known, there has to be some buzz about the companies that are coming. How do you do that? It’s all about communicating and doing it systematically.